New Kids on the Block, UB40 Featuring Ali Campbell, Astro and Mickey, Colin Hay of Men At Work, Rick Astley, Starship, Eddie Money, Night Ranger and More to Perform Live at SAP Center in The Bay Area, Hosted by Martha Quinn, iHeartMedia, the leading media company in America with a greater reach in the U.S. than any other radio or television outlet, announced today the return of its iHeart80s Party hosted by Martha Quinn, when the most beloved music icons of the ‘80s will come together at the SAP Center in San Jose, Calif. on January 28, 2017 to celebrate the unforgettable and influential decade. Fans who cannot attend the iHeart80s Party will be able to listen live on iHeartMedia Mainstream AC, Hot AC, and Adult Hits radio stations across the country. Streaming details will be announced soon. 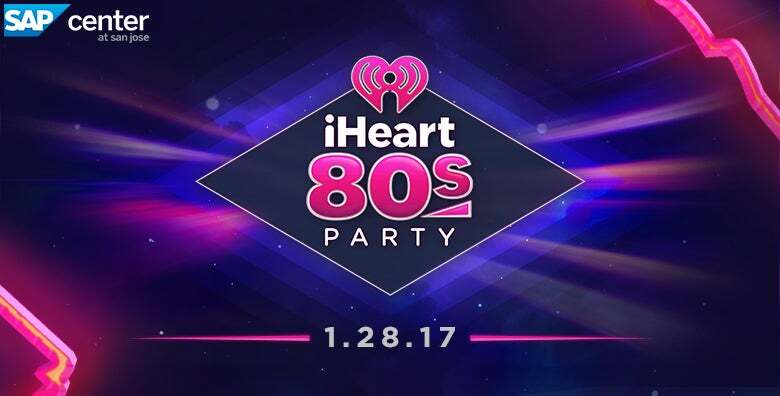 We are really looking forward to the iHeart80s Party! Outlined below are a few "Key Things to Know" about the concert as well as SAP Center at San Jose. If you have any further questions, please don't hesitate to call us at 408-287-7070. Thank you for your ticket purchase and including us in your weekend plans. The concert starts at 7:15PM Saturday night when New Kids on the Block takes the stage to kick off the iHeart80s Party. We don’t want you to miss a minute of the show, so make sure you’re in your seat early. 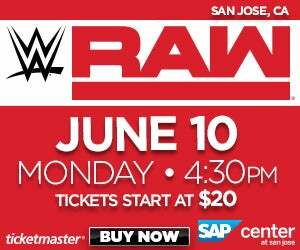 SAP Center doors open at 6PM and we encourage all concert goers to arrive as close to that time as possible. Have questions about our venue? Our entire SAP Center Guest Services team is here to make sure your visit to our venue is an exceptional one! 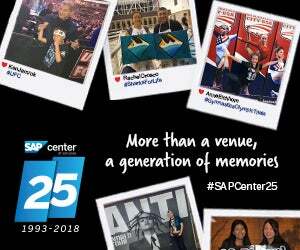 To help us do so, prior to your arrival to SAP Center, we encourage you to review all of our Frequently Asked Questions. Upon arrival at SAP Center at San Jose, you will have a number of easily accessible on-site parking options for only $25 per car. With a heavy volume of traffic expected Saturday night, we encourage all show attendees to take advantage of the San Jose Diridon station located immediately across the street from SAP Center. This station location allows you to easily travel to and from the event via several public transportation options including Caltrain and VTA Light Rail. Download the Uber app and enter promo code SAPCENTER2017 or click here to sign up at and get your first Uber ride free, up to $20. After the event, walk west of the arena and request your ride from the Uber Zone on Stockton Avenue for the smoothest pick-up experience.